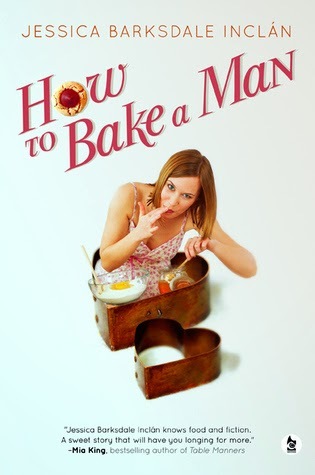 Goodreads: When Becca Muchmore drops out of grad school, all she has left to fall back on is her baking. Ignoring her mother's usual barrage of disapproval and disappointment, she decides to start a small business hand-delivering her wares. A friend introduces her to an office of hungry lawyers, who agree to give her a try. Her lizard-booted neighbor Sal is happy to help out when he can, and almost before she knows it, Becca's Best is up and running. Kritters Thoughts: Becca Muchmore has dropped out of grad school and wants to follow her true passion of baking and falls into a great job baking for a law firm. Although not an employee of the law firm she becomes embroiled in the office drama and politics and maybe even into the personal lives of some of the employees. Becca Muchmore was an interesting character, but the lack of flow in this book kept me from completely falling in love with the character and the book. There were a few moments where she started daydreaming and it took me a moment to realize that it wasn't live action and that we were just in her thoughts. The other thing that didn't make me completely love the book was how quickly Becca changed her mind about the men in her life - it was a quick headsnap change and I wish there had been a little more. If you love the flightly character and don't mind a quick change of heart, then you may enjoy this book more than I did. I own another book from this author and will still try it and see what I think about it.